based on data from user reviews. 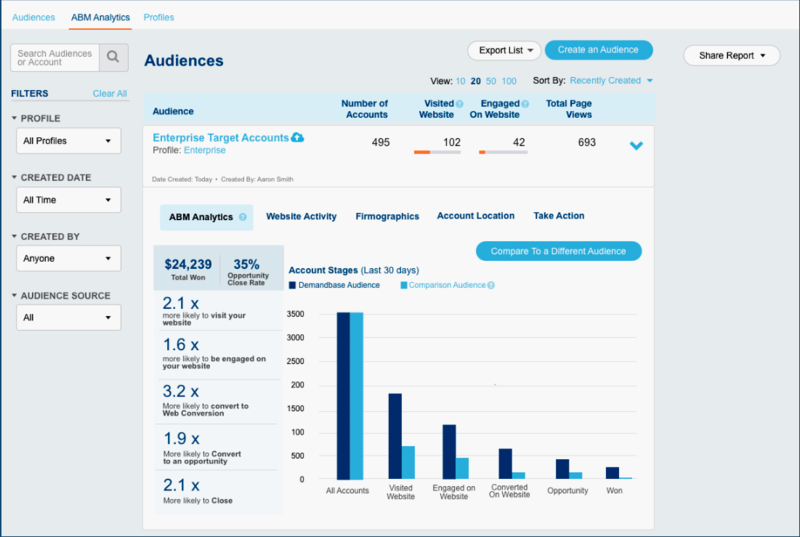 Engagio ABM Platform rates 4.4/5 stars with 89 reviews. Demandbase rates 4.1/5 stars with 50 reviews. Each product's score is calculated by real-time data from verified user reviews. Single Sign-on support, ability to rename account lists and to save report filters.